Bhojpuri Actress Monalisa has made a special place in our hearts, all thanks to her new Bengali web series Dupur Thakurpo 2. Monalisa is taking the internet by storm by sharing a ***y saree picture as Jhuma Boudi. 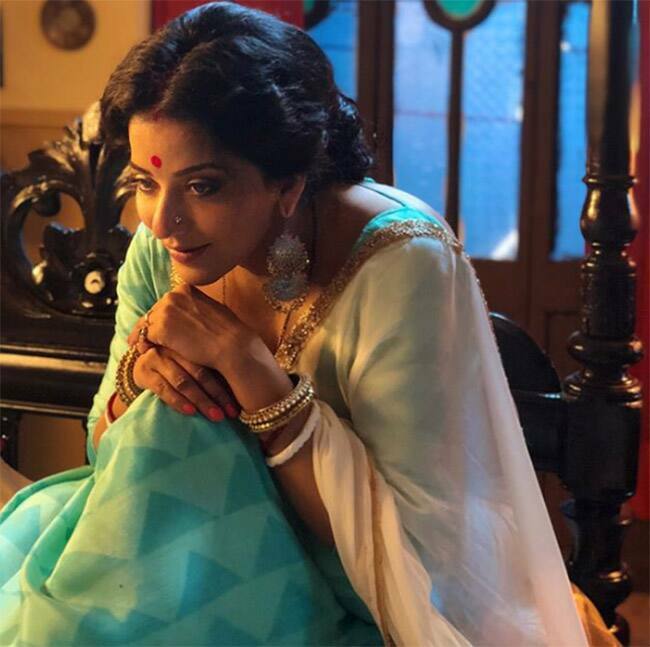 Ever since she became a part of the digital series, Monalisa is setting the screens on fire by sharing sneak peeks of her pictures and videos from the sets. While browsing through her account, we stumbled upon her latest hot and sensuous picture. With 937k followers on Instagram, Monalisa is making her fans go gaga over her beauty. The Bhojpuri superstar Monalisa was one of the most sought-after Bigg Boss 10 contestants and her friendship with Manu Sharma and Manveer Gurjar remained the highlight of the season. Monalisa raised eyebrows by getting married inside the reality show where the makers had called her then-boyfriend Vikrant Singh Rajpoot, who is also a popular face in the Bhojpuri industry. Mona has featured in over 125 Bhojpuri films and acted in several language movies such as Hindi, Kannada, Telugu, Tamil, Oriya and Bengali as well. She is a big name in the Bhojpuri film industry and is famous for her terrific dance moves. Image credit: InstagramMonalisa will turn ‘daayan’ for a new TV show Nazar. Monalisa is in Delhi for her new project’s promotions and is all set to raise the temperature of the capital as she looks super ***y. Image credit: InstagramThe Bhojpuri sensation has more than 900 K followers on her Instagram and she keeps her fans glued to her social media with ***y and sultry pictures and videos. Image credit: InstagramRecently, the Bhojpuri sensation has shared a new promo of her upcoming serial Nazar. Her uncanny resemblance to a snake is what you need to see today. Image credit: InstagramWith 937k followers on Instagram, Monalisa is making her fans go gaga over her beauty. The Bhojpuri superstar Monalisa was one of the most sought-after Bigg Boss 10 contestants and her friendship with Manu Sharma and Manveer Gurjar remained the highlight of the season.